(Bloomberg) -- The chief executive officer of Indian e-commerce company Flipkart Group has resigned amid an investigation into allegations of “serious personal misconduct,” owner Walmart Inc. said. 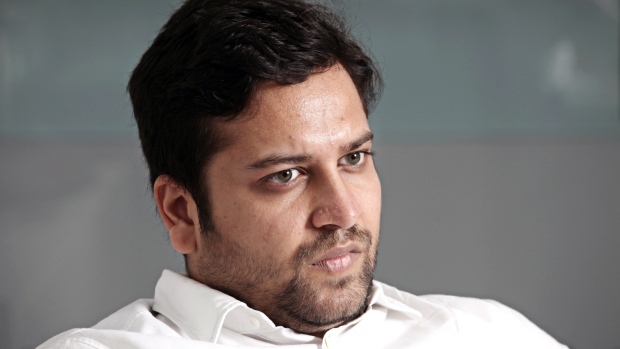 Binny Bansal stepped down immediately after an independent investigation into the allegations, which the executive denies, Walmart said. The U.S. retail giant completed its $16 billion purchase of the Indian company in August. “While the investigation did not find evidence to corroborate the complainant’s assertions against Binny, it did reveal other lapses in judgment, particularly a lack of transparency, related to how Binny responded to the situation,” Walmart said in a statement. The company did not detail the nature of the allegations. Kalyan Krishnamurthy, currently chief of the Flipkart division, will take over as CEO at the group level, Walmart said. The company said Bansal had been contemplating a transition for some time. Walmart shares fell 0.4 percent in premarket trading in New York. The resignation is another blow for Walmart in India, where Flipkart sales have plateaued, several other key executives have quit and rival Amazon.com Inc. is making a big push. Earlier this year, a Morgan Stanley fund marked down Flipkart’s value from $15 billion to $11 billion.